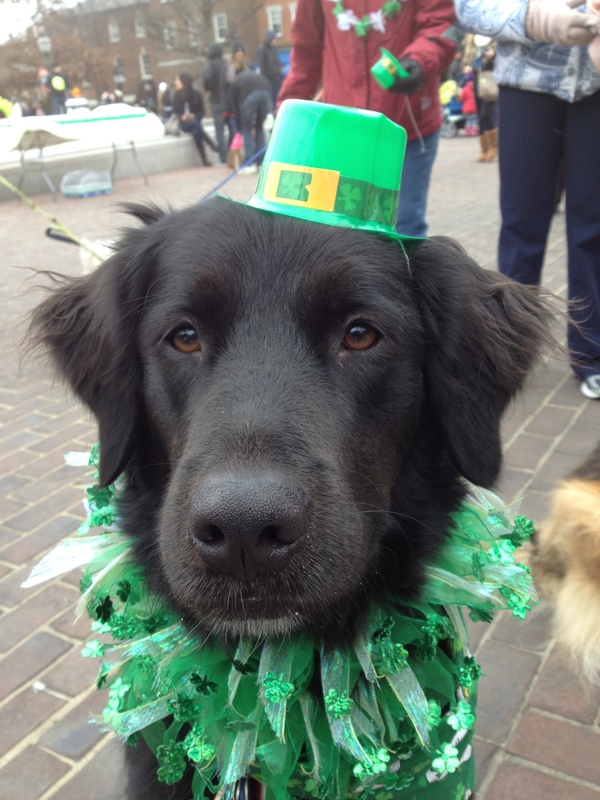 Even though St. Patrick’s Day was Sunday, you can never get enough of Irish cheer! 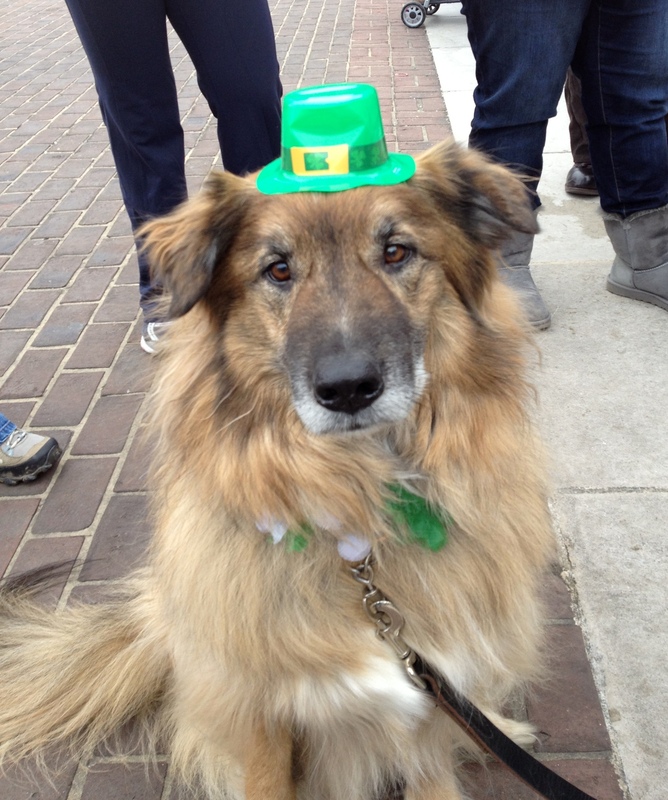 Here are some pictures from the Alexandria St. Patrick’s Day parade a few weeks ago. 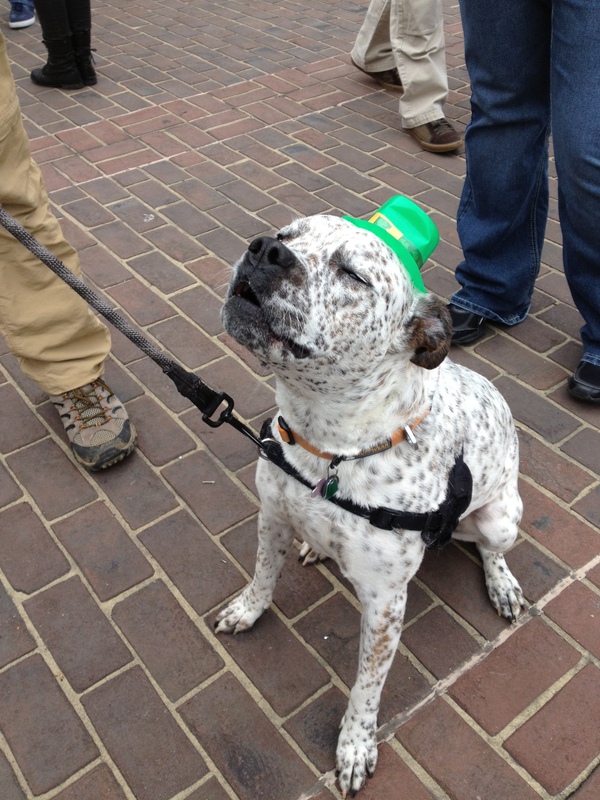 Thank you to these companies who sponsored the dog show: Your Dog’s Best Friends, Dogma, Dogtopia, News Channel 8, Novadog magazine, Doggywalker.com, Nature’s Nibbles, Olde Towne School for Dogs, Fur Get Me Not, and Barkley Square! 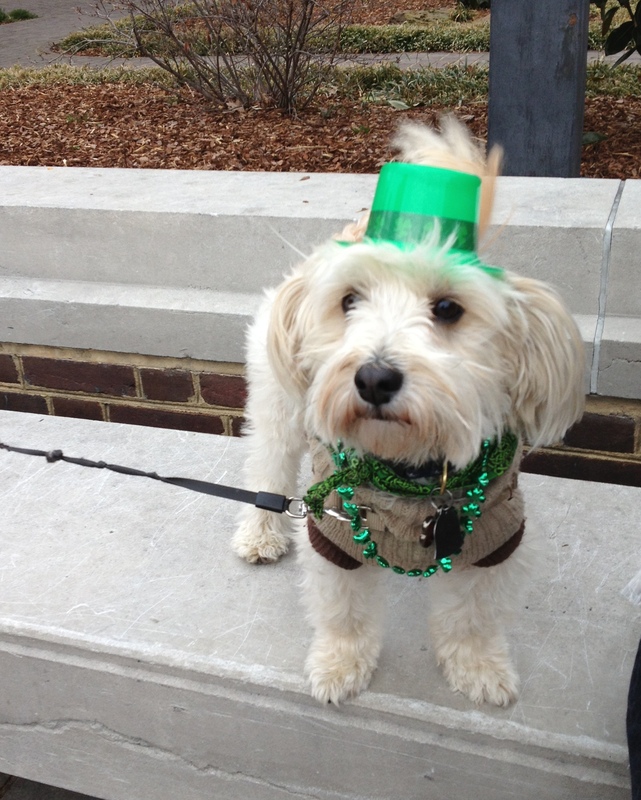 Even though he’s Cuban (a Havenese), Baxter celebrates St. Patty’s with a touch of the green! 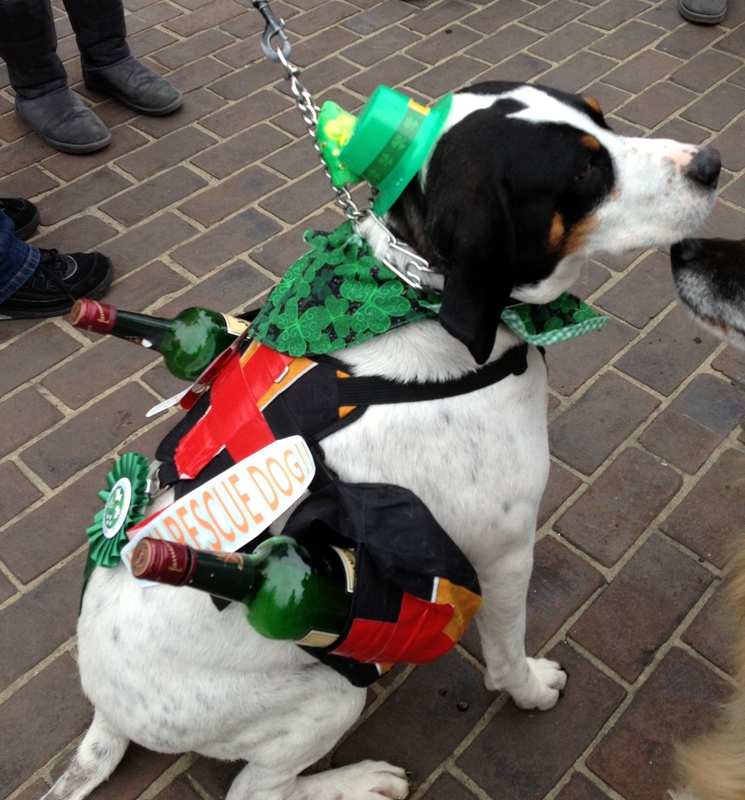 This dog show award-winner didn’t mind carrying some extra weight, in the form of Irish whiskey. And for the grand finale, Harley sings “Danny Boy”!